CarGurus has 10,299 nationwide MKC listings starting at $11,999. Launched at the LA Auto Show in 2013, the MKC is Lincoln’s entry into the compact premium crossover market and is based on the Ford Global C platform it shares with the popular Ford Escape. If you remember those oddball commercials with Matthew McConaughey but don’t recall exactly what car he was driving, one of the cars was a then-new MKC. The 2017 version is basically a mid-cycle refresh, as the model itself is still relatively new. Changes are largely cosmetic, like slightly different headlights and bumpers, new wheel options, three new exterior paint colors, and a standard power liftgate. One of the MKC’s biggest selling points upon introduction was its value, as it offered similar equipment to vehicles like the Audi Q5 or Cadillac SRX, but at a lower price, and it’s the same story with the 2017 model. The base trim, called the Premiere, starts at around $33,000, and even the all-wheel-drive (AWD) Premiere is just over $35,000, saving you around $1,500 over a similarly equipped Acura RDX. The Select trim, which adds extra convenience features and wood accents, starts just above the AWD Premiere at almost $36,000 and can be had in AWD starting at just over $38,000. The next level up, the Reserve, comes in at around $40,000, and the top-shelf Black Label AWD comes in at almost $48,000. 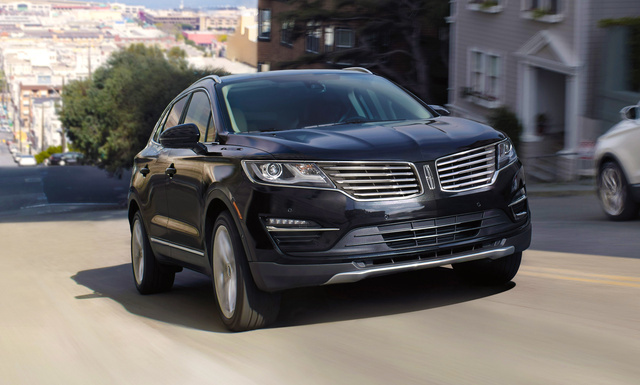 The base engine for the 2017 Lincoln MKC is the 2.0-liter turbocharged EcoBoost 4-cylinder used across much of the Ford range. It makes 240 hp and 270 lb-ft of torque, and will get mileage of 20 mpg city/29 highway in front-wheel-drive (FWD) configuration. Adding AWD drops fuel economy to 19/26. The MKC is also available with a larger engine, a 2.3-liter version of the EcoBoost. Buyers won’t be left wanting any extra cylinders, however, as the larger EcoBoost makes 285 hp and 305 lb-ft of torque. This engine is only available on AWD MKCs and is good for mileage of 18/26. While there were rumors the MKC would switch to a 9-speed automatic transmission for 2017, it will apparently keep the old 6-speed instead (which features paddle shifters). Driving dynamics aren’t likely to be too much of a concern for most potential MKC buyers, but the vehicle does come with Lincoln Drive Control, featuring “D” and “S” driving modes. Hitting “S” twice allows you to shift manually using the paddle shifters, and the system is also slightly programmable, letting you make limited tweaks to the steering assist, powertrain, and suspension. Push-buttons take the place of a shift lever when you aren't shifting manually with the paddles. One big change for 2016 was in the infotainment department, where the MKC received Ford’s new Sync 3 system, which features a full touchscreen and better voice control, and is considered a significant improvement over the previous system. The cabin itself includes an impressive level of equipment, such as heated front seats, push-button and remote start, noise control, reverse sensors, and heated mirrors. The Select Package adds better-quality leather and ambient lighting, while the Reserve Package adds a dual-plane panoramic sunroof, navigation, and cooled front seats. The weak point of the MKC is its cabin space--the sloping rear roofline may look rakish from the outside, but it cuts down on headroom for rear passengers and cargo space behind the rear seats, though those seats do split 60/40 for more space. As for safety, the available Technology package adds lane-keep assist, adaptive cruise control, collision warning with brake support, and a cross-traffic alert system. The Reserve trim also comes with blind-spot detection. A rear-view camera is standard, as is a driver’s knee airbag. Crash test results for the MKC have been mostly positive, although a rear door came unlatched during one test. While Lincoln is currently trying to freshen up its image a bit with the attractive new Continental, the MKC represents the Lincoln we’ve known for a while now. 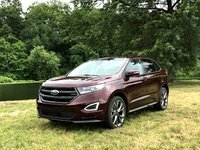 It’s not overly exciting, and it's not really a standout in the increasingly crowded luxury crossover market, but it's a competent luxury vehicle that offers good value and is a tempting choice for people who are more interested in the level of comfort and equipment in their luxury crossover than the badge on the grille. 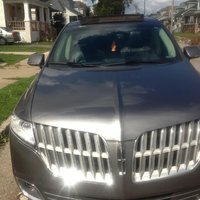 What's your take on the 2017 Lincoln MKC? Guru97HBZ Just leased the 2017 MKC Select a few weeks ago and am very impressed with the smoothness and comfort compared to the 2014 Ford Escape Titanium that was returned from lease. Zachary My mom decided to buy a 2017 Lincoln MKC Reserve after looking at the Jeep Cherokee, Range Rover Evoque, and the Infiniti QX50. Of course, she wanted to get something bigger and better than her old 2006 Volkswagen Jetta. I do take a ride in there sometimes and I love the Bridge of Weir leather seats. They are some of the most comfortable seats ever that I have sat in in a car. I like that Ford implemented their nice SYNC 3 touchscreen. It is big and responsive. I love the ambient lighting at night. We got the 20-inch wheels and they look very nice on it. We also equipped it with THX II Sound System which sounds great and can go really loud without drowning out the sound. I do also like the feature where if you put your hand on the handle with the car locked, it will unlock so that you don't have to look for your key. It also has a sensor on the top where, if you put your finger, it will lock. It has a decent amount of cargo space at 25.2 ft³. We also got the hands-free lift gate, where if you wave your foot at an angle right next to the tow hook it will automatically open for you. The little features in the MKC make a difference to with a 12-volt outlet, nice wood on the door panels, bag hooks, cargo covers, big center console, and adjustable seats in the back. Overall, I think the MKC is a very great car and I think you should consider one when looking in the compact luxury SUV market. Have you driven a 2017 Lincoln MKC?